Welcome to the end of the crisis! 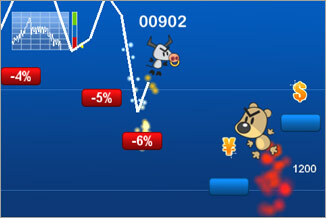 Jump with little bull to rise stocks up to the top and safe the world! Are you bull enough to take the challenge and save the world? First and only game to end the global crisis. Jumping action at its best! 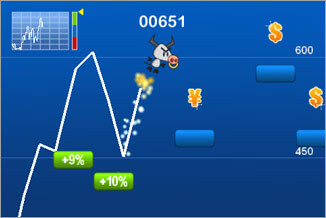 Brand new gameplay: Rise stocks by jumping high as little bull in the stock board! Enemies: Fear the downturn bear, the evil boss of the crisis. He makes stocks fall deeper and deeper. Maximum variation: Every level is generated by your gameplay. 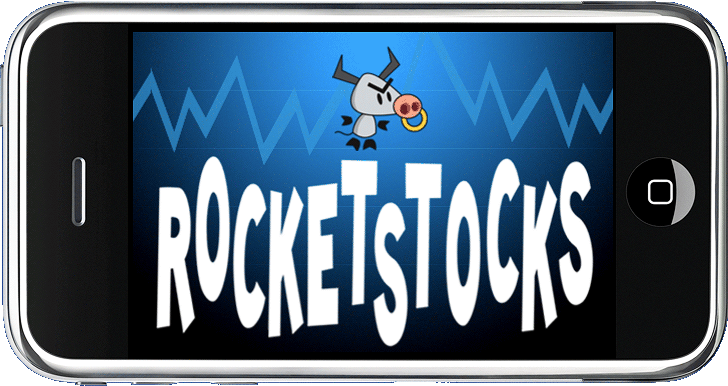 Online Highscore: Get the stock as high as you can and beat your opponents! Funny sound effects and lovely classic background music. Q: Whats the goal of the game? A: You are a little bull, jumping in a stock board. The higher you jump, the higher the stock will rise. Q: How do i jump? A: The bull jumps automatically. 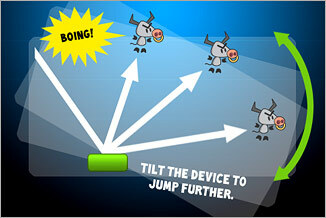 When you tilt the device to the right, the bull will jump further. Just try and you will quickly learn how to control the bull. Q: How do i influence the stock? 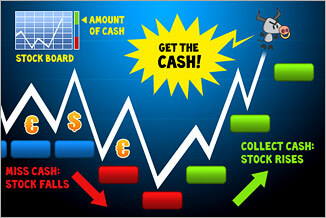 A: The more cash you collect, the faster the stock will rise (green platforms). If you miss some cash, the stock at first will be static (blue platforms) and if you continue to miss cash, the stock will fall (red platforms). Collect cash to rise the stock again. The stock can’t fall under below 0 points. Q: How do i get rid of the downturn bear? 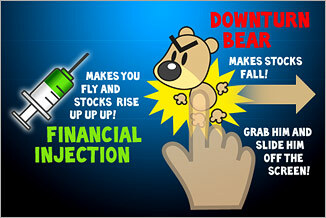 A: The downturn bear makes your stock fall, so you have to be fast. Grab the bear with a finger – you will hear a funny sound, if you have done it right. Then slide him fast in any direction out off the screen. Q: What is the injection good for? A: The injection makes your bull fly like a rocket: you gain height in seconds. If time has passed, the bull will fall softly down onto the platforms with his parachute. You can control him during the whole action. A: The game is over, when you miss a platform and fall down the stock board. Q: How is my Highscore generated? 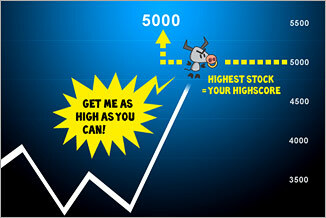 A: The highest mark you reach on the stock board is your highscore. Q: Where can I see my Highscore? A: In the main menu you can select “Highscore”. The best 50 players worldwide are listed in the Highscore. The comments are property of their posters, all the rest © 2010 by KRITZELKRATZ 3000 GmbH.